GetSetGig, Mumbai is a platform from where you can get the perfect musicians / bands for your event. By having them at your event you need not worry about anything as they will take care of everything on your behalf. GetSetGig, Mumbai has over 2000 vendors on board and provides their services all over India. 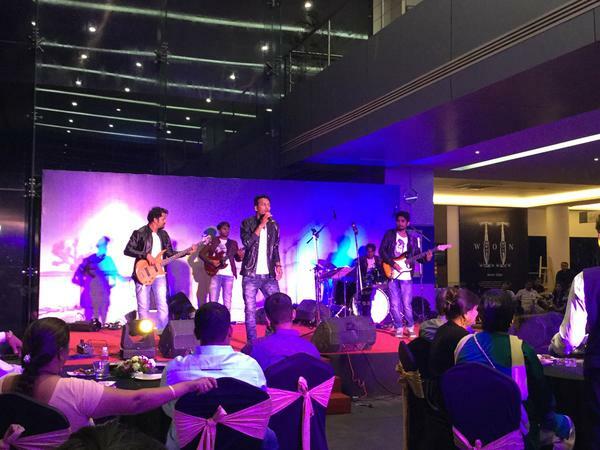 GetSetGig is a wedding entertainers orchestra based out of Mumbai . GetSetGig's telephone number is 76-66-77-88-99, GetSetGig website address is http://www.getsetgig.com/, Facebook page is GetSetGig and address is Awfis, 5th Floor, Akruti Trade Center, MIDC, Andheri(E), Mumbai. In terms of pricing GetSetGig offers various packages starting at Rs 35000/-. Has been viewed 47 times and shortlisted by 12 customers over the last month. There are 0 albums here at Weddingz -- suggest you have a look. Call weddingz.in to book GetSetGig at guaranteed prices and with peace of mind.